Blog | Coast to Coast Water Damage and Restoration Inc. Call 800.801.2211 – 24/7, 365, 1-Hour Response. No matter how careful we are, accidents can happen and our homes may face small or big damages. This is especially true when it comes to natural disasters like fires and earthquakes. This is certainly not something that we can predict and even if we know about that, there is not much that we can do to prevent the damage. However, it is very important how we deal with this damage once the threat is gone. In situations like this, we must look for good fire & earthquake damage reconstruction service providers. Depending on the extent of damage you will need some of the following services. For starters, you will definitely need good home repair services. With a good service provider you can instantly remove these damages that won’t allow you to continue with your everyday activities in a normal way. First of all, with these services homeowners can remove the odor that stays in the home because of the fire. The professionals will also remove any soothe or debris caused by the natural disaster. They can also perform structural drying, check the condition of the walls and other important structures in the home that may have been affected, repair ceiling damage and many other things. Once they are finished any home will look as good as new. Of course, there are situations in which home repairs are not sufficient. 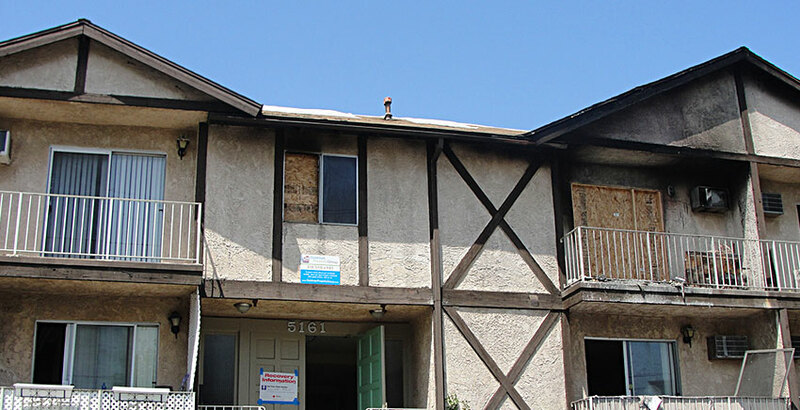 This is the case with homes that were almost completely ruined by a fire or an earthquake. In cases like this, it is not possible to repair the damage or the repair will be costlier than renovation. The home renovation services are actually upgrades and specific changes on the existing basic structure of the home. When we talk about renovations in situations like this, it is good to mention that most contractors list activities like single room remodeling and full home remodeling too. When we talk about home renovation projects, we should point out that every home consists of two elements – interior and exterior. When the aforementioned disasters happen, they usually affect the exterior first. That’s why many construction companies highlight the fact that they are specialized in exterior home renovations. We will also highlight some of the specific renovation services related to the exterior. For instance, the roof is one of the elements of the house that is exposed the most. Its basic purpose is to protect the home, so renovating this part of the house is a must. Obviously, the foundation of the house is equally important. There are fires and earthquakes that have the ability to jeopardize the integrity of the entire home. This is when foundation repair services are needed. The vast majority of contractors provide exterior material remodeling because these materials will probably lose their original properties as well as insulation remodeling to secure energy efficiency in the building. Fire and earthquake damage reconstruction is a serious activity and should be left to experienced, qualified and trained professionals with adequate license. Call 800.801.2211 Coast to Coast Water Damage & Restoration, Inc. agents are ready to assist you. General construction services or commercial construction is a term used to describe construction activities on commercial property unlike residential construction services. The fact is that commercial properties are very different from residential properties because unlike homes which are designed to be used during the whole day, these properties are used at specific period of the day and in a specific way. In other words, the regulations, rules, laws and requirements associated with commercial properties are different too. For instance, most of these projects require special planning permission before the work begins. A good general construction service provider can help you with the paperwork and with the construction process too. Most of them are responsible for the entire project starting from conception and ending with completion. 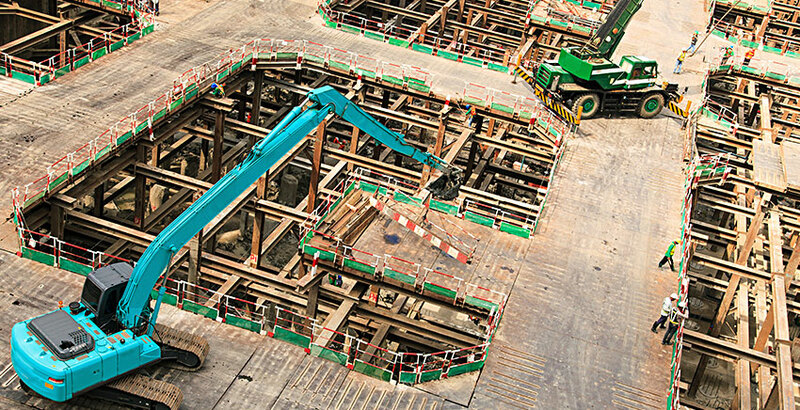 A good company will cover all the stages and elements of the construction process. Now let’s see what the most common services of this type are. First and foremost, there are general building contractors. These contractors’ main task it to monitor the progress of the building project through supervision of the construction site and managing trades and vendors. Furthermore, hotel construction management and hospitality construction are another popular service provided by these professional companies. With the help of a reliable contractor, investors can come up with the best design for their hospitality venture. As you are probably aware hotels and other hospitality-related buildings is complex and consist of several separate elements. Each of them must be designed in the best way and should be able to complement each other. When it comes to healthcare construction, the situation is not different. Healthcare facility construction includes building patient rooms, research centers, laboratories, surgery apartments, medical offices and many other types of rooms and areas that will allow top notch medical services. Retail store construction requires vast experience in the field of construction management. Some of the most common projects related to retail store construction activities include grocery stores, shopping centers/malls and even tenant improvements. Obviously, public commercial buildings and city municipalities require this type of services too. The only difference between private and public projects is the fact that authorities are always focused on cost effectiveness even though they care about the visual appearance. A good contractor must find a way to create balance between the budget, functionality of the space and the overall appearance of the building (in terms of both interior and exterior). Finally, there are government contractors that provide building constructions for local, state and federal buildings. These agencies have specific needs and requirements and they are not similar to the projects and services we’ve mentioned before. Wastewater treatment plants, courthouses, town halls, community centers – these are some of the projects that can be completed with the help of these services. As you can see, general construction services are covering many different areas. Even though some of these projects look the same with certain residential projects, they have significant differences. Those who need such services should always look for companies with good experience in this field and contact Coast to Coast for all your commercial construction needs. There are many things that future homeowners must take into consideration when they are building a house. Every task must be finished in the best way because this is the place where they will live at least in the near future. Residential construction is very complex and that’s why it is the best idea to leave this task to true professionals. There are many companies offering residential construction services, but before you choose one, make sure that you’ve done proper research. Of course, they should also provide all the services that are usually associated with this activity. Now let’s highlight Coast to Coast’s Residential Construction services. First of all, there are many homeowners who need additional space because their families are growing. If we were living in an ideal world, these homeowners would probably buy a new, larger home. But, this is not an option for most families today. The good news is that there is a simple and effective solution that won’t cost them a lot. Of course, we are talking about room additions. These additions are not used only for this reason. There are homeowners who need more storage space or bigger family room or bathroom. As you can see, residential construction services are not related only to new homes and room additions are not the only service useful for existing homeowners. Another activity that is popular is home remodeling. When we talk about home remodeling it is good to mention that these services come with different prices because sometimes this remodeling includes changing specific structures of the home while in other cases it means a complete home makeover. A good home remodeling requires good planning. The best idea is to start with parts of the home that are damaged. After that, you can consult your contractor and they might give you an idea about what can be changed in your home. Remember that this doesn’t have to be a costly change and it is up to you how much money you will invest. The thing is that you will definitely need to determine your budget and plan and stick to it. It is also good to mention that most people are interested in bathroom and kitchen remodeling plans because these specific areas tend to lose their properties over time. There are many people who don’t make difference between home remodeling and home renovation, but experienced contractors will tell you that remodeling is more like altering the existing structure while renovating is making something new again. For instance, installation of brand new lighting, adding finishes, repainting, replacing the doors of the cabinets are some typical renovation projects. On the other hand, home remodeling includes activities like installation of a kitchen island in the existing room or moving the furniture from your home from one place to another and adding some decorative elements. Finally, another popular residential construction service is home restoration. Home restoration is focused on making the house look exactly like it was before. This activity is performed after natural disasters or when the house is very old. We hope that this article will help you make the right decision for your home. Avoid making mistakes by calling true professionals. 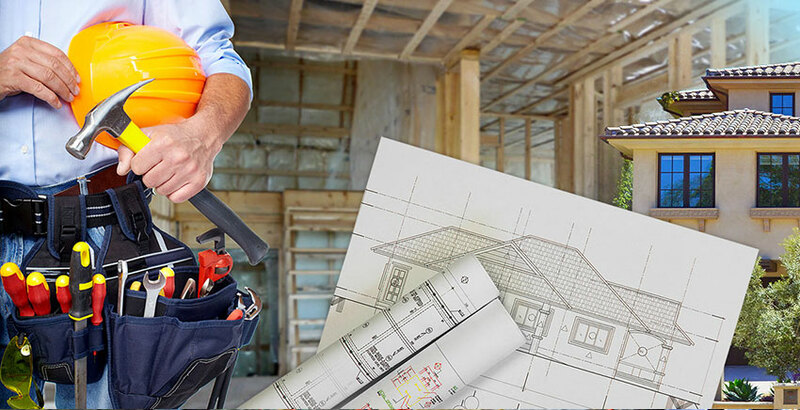 ServiceMaster Restoration by C2C is here to provide all types of residential construction services at reasonable price. © 2015 Coast to Coast Contractors. All Rights Reserved.